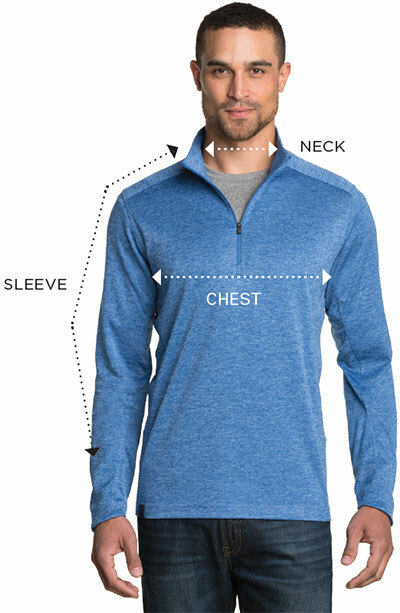 Each apparel brand can vary slightly in size and fit, so we’ve listed our suggestions by brand down below. We’ve also given you a calculator to help figure out what a “normal” breakdown of different sizes would be for any group of people. 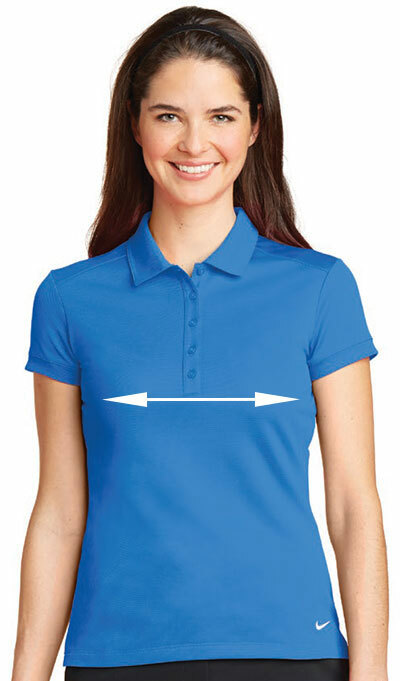 If you are ordering shirts for a group of people and you want help estimating the mix of different sizes that you’ll need, an industry standard size breakdown for an average group of people in the USA is shown on the left in blue. Just enter the total number of Men and Women in your group (in the yellow boxes), and hit CALCULATE – your quantity per size will be shown in the table below, on the right in green. Most Unisex shirt styles are cut to match the Men’s sizing, so order more XS, S and M sizes to accommodate the number of Women in your group. Children’s shirts vary greatly by age, so there’s no good blanket estimate for “Children” as an entire group. Please call or email us to talk about your order, if you need to estimate shirts for a group of Children. Please Note: Shirts and Uniforms can vary by brand, please double check each brand’s Size Chart recommendations below. Also Note: This is only an estimating guide, you are responsible for adjusting the quantities that you order to fit your group. If you’re not sure how to place your order, use the above size mix and order 80% of your total quantity now. Then come back after you hand out this first group of shirts, and place the remaining 20% of your order to fill in for sizes that you ran out of on your first order. These Fit Guides allow you to see how you can expect a product to fit by brand, before you order it. Please refer to the brand charts below for sizes and their coordinating measurements. You should use these size charts as a general guideline, because you might want a tighter or looser fit. 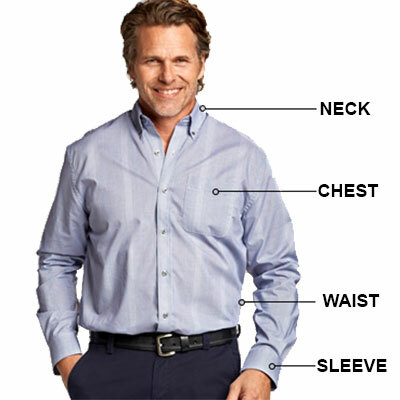 When in doubt or you fall in between sizes we suggest ordering a size up; because shirts that are too tight won’t be worn, but a slightly looser fit is still very comfortable and stylish! 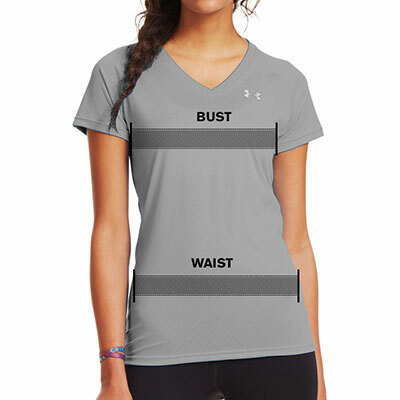 The Under Armour® brand is designed to have a slightly more fitted/athletic/modern fit. If you want this brand, but want a more traditional/loser fit, you may prefer to go up 1/2 to 1 full size from your normal fit. The Nike brand is designed for movement, so it’s a traditional fit, not extra roomy or extra snug, order your normal size. You can use the chart below to determine your size. If you’re on the borderline between two sizes, order the smaller size for a tighter fit or the larger size for a looser fit. fullest part of the bust. 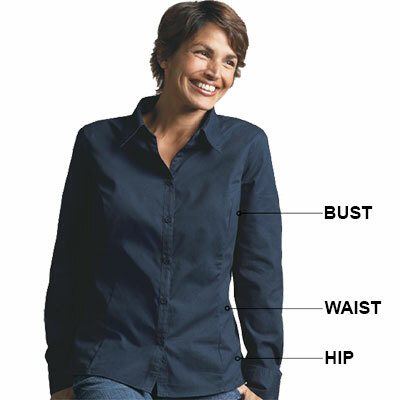 The Cutter & Buck brand is a generous fit, cut for roomy comfort and maximum freedom of movement. These long time favorite styles provide plenty of front and back coverage. 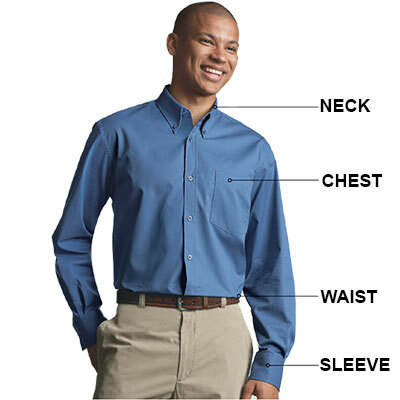 The half sleeves hit longer on the arms and the body hits longer on the torso. They provide a very detailed fitting chart, so you can find the best possible match for your size. If you want this brand, but don’t want as loose of a fit, try ordering 1/2 size smaller than your normal size. NECK: Measure around your neck at the point where a shirt collar band encircles the neck. 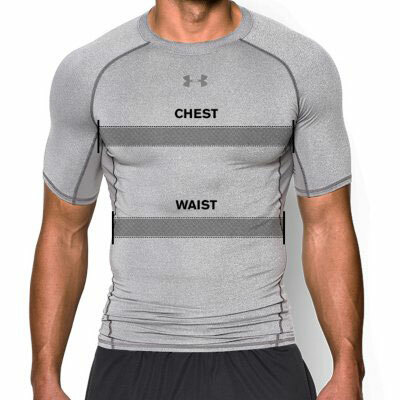 CHEST: Place tape measure up under arms and measure the fullest part of the chest, keeping tape parallel to the floor. WAIST: Tape measure should be straight around waist where pant waistband normally sits. SLEEVE: With elbow bent, measure from the center of the back at the base of the neck, across the shoulder to the elbow and then down to the wrist. BUST: Place tape measure up under arms and measure the fullest part of the chest, keeping tape parallel to the floor. HIP: Standing with heels together and with tape parallel to the floor, measure the fullest part. 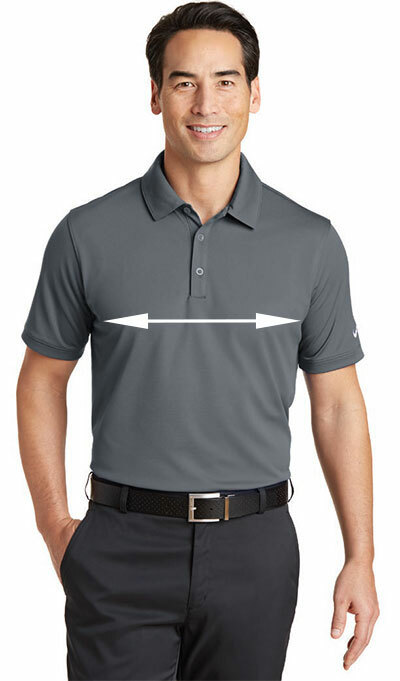 The OGIO brand is designed to have a slightly more fitted/athletic/modern fit. If you want this brand, but want a more traditional/loser fit, you may prefer to go up 1/2 to 1 full size from your normal fit. CHEST: Measure under your arms, at the fullest part of your chest. 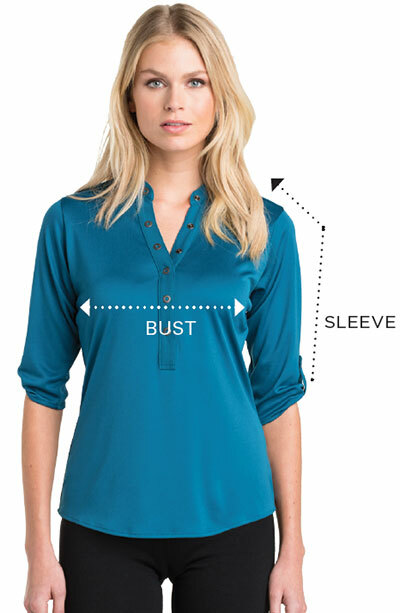 SLEEVE: Measure length from center back neck, over point of shoulder to the wrist.